Birdcap, Nosey42, and many others have been painting Memphis transforming our spaces into works of beauty as opposed to vacant properties. 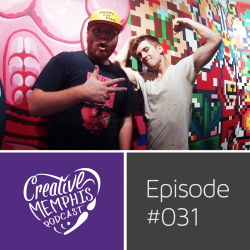 They came into the studio to chat about the journey from drawing nonstop to painting under bridges, yelling about people or life, running the letter game, and making a dream happen. 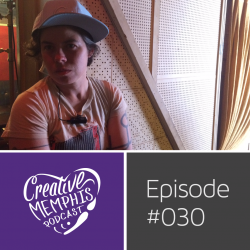 Sarah Fleming, connected to the core culture and music scene of Memphis, came onto the podcast and discussed civicly minded film making, being a new mom, past and current film projects, her grant from Indie Memphis and subsequent upcoming film, and bikes galore. All kinds of tidbits such as chasing grant money, running Live from Memphis, directing documentaries and more.